Pop-Up Curry Night! Saturday 1st December, 7pm. Chicken curry with rice and accompaniments or cottage pie for non-curry fans! Book your place by 24th November. Tel Chris 690 342, Gaynor 690 322, Lynne 690 269, Annette 622 892 or send a Facebook message via the Merthyr Cynog Community page. UPPER CHAPEL EISTEDDFOD is on the 28th July. This is now one of the premier Eisteddfods in Wales and begins at 4 pm and goes on into the evening with many competitions for both young people and mature competitors in both recitation and music. There are also literature competitions open to all. Merthyr Cynog Women’s Institute meet on the first Tuesday of the month. In June we are having a members night and in July Pam Greengrasss is giving a talk on the French Alps. In August we are having a games night with Kurling (a version of curling which is very entertaining). We meet in the Community Hall at 7.15, there are always lovely refreshments after our meetings and we welcome people who come just to visit and see what the Institute is all about. Evergreens- Our Evergreens Club for anyone of pensionable age is on the last Tuesday of each month from 2 – 4 pm, where we have card games, quizzes, and tea. All are most welcome. Whistdrives-These are held in the Hall fortnightly, the next being on Thursday 31st May, which is for Upper Chapel Eisteddfod funds. The whistdrives are normally held to raise funds for the Hall. Begin at 7.30, entry £2 which includes sandwiches and cakes. NEW!! 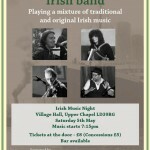 Irish Music Night! - On Saturday May 5th we have Henry Marten’s Ghost appearing at the hall, Henry Marten’s Ghost are an outstanding group of musicians that include a BRIT and Mercury prize nominee. Well known on the folk music circuit, the band play regularly at national and international gigs. 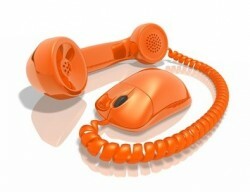 BROADBAND! If you would like to find out more about getting quicker broadband, please come along to the Community Hall in Upper Chapel on Saturday 10th February from 10 am where our local Councillor, Mr Ian MackIntosh, will be waiting to answer your questions. HARVEST SUPPER on Saturday 7th October at 7 pm in the Community Hall, Upper Chapel. 3 course meal: Adults – £10, Primary school children – no charge. As usual, everyone is asked to bring along their own soup bowl and cutlery and, if possible, a pudding for the table. There will be a bar for liquid refreshments and a short entertainment at the end of the meal. To book please contact Annette on 622892, Lynda on 625133 or Lynne on 690269. Bingo Night! Friday 24th November at 7 pm in the Community Hall, Upper Chapel. Bingo books – £5, there will also be a raffle and light refreshments will be provided. Please come along and give it a go, you never know, it could be your lucky night! Annual Hall Clean Up – Tuesday 11th July at 6 pm. If anyone wishes to give a hand with the clean up, please just come along to the Community Hall on the night you will be sure of a warm welcome and you are guaranteed to have a lot of fun while helping to keep the hall in good condition for the whole community! Next Hall Meeting – Tuesday 15th August at 7.30 pm in the Community Hall. All welcome. Community Walk and Tea – Sunday 20th August, starting 2 pm from the Hall and heading to Pantllyn Pool. All you need are good walking shoes, suncream (as it is bound to be sunny!) a drink to take on the walk and something to share for the tea table. Harvest Supper – Saturday 7th October at 7 pm in the Community Hall. Lip Sync Competition and BBQ – Saturday 28th October 6.30 – 7 pm. The Hall Committee invites you to the highlight of the Merthyr Cynog social calendar! To help us raise vital funds for contribution towards repair and rebuilding of the halls boundary wall we ask you to come along and compete in the Lip Sync Battle. No singing skills required! Just dress up, dance and lip sync along to your favourite musical act. Get together with your family, friends or neighbours to put an act together. Solo’s, duets & group entries welcome. Prizes for the best acts! Non competitors welcome too! There will be a BBQ and bar from 6.30 pm onwards, entertainment to commence from 7pm. Please let the hall committee know about your entry by 15th October. You just need to bring along your track on CD/MP3 and be willing to let your hair down! Find out more on our Facebook event page! Merthyr Cynog & District Women’s Institute meet at 7.15 on the first Tuesday of the month in the Community Hall in Upper Chapel. You can come along several times without ‘joining’ – as a taster. You will be made most welcome indeed by the regulars, and we hope that YOU will become a regular too. Call Annette on 01874 622892 for more information about our activities. And don’t forget! All year round…there are several regular groups which meet weekly. 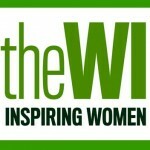 WI Meetings held the first tuesday of every month in the Community Hall at 7pm. Come along to enjoy talks, demonstrations, film shows, crafts and a whole host of other activities! The Evergreens meet on the last Tuesday of every month, between 2pm & 4pm. A fun, informal group based on enjoying each other’s company, chatting, playing cards, quizzes and trips out and about. There is also, the local Women’s Group welcome members of all ages. Friendly and informal, it is a good opportunity to get together with friends to enjoy trips and activities all year round. Recent activities include visits to the theatre, spa trips and amateur dramatics, as well as regular trips to places of interest across the UK. For the younger generation, Pontfaen Young Farmers Club meet on Wednesday nights, enjoying a range of fun activities and competitions. For more about regular clubs and local activities, visit our groups and activities page!